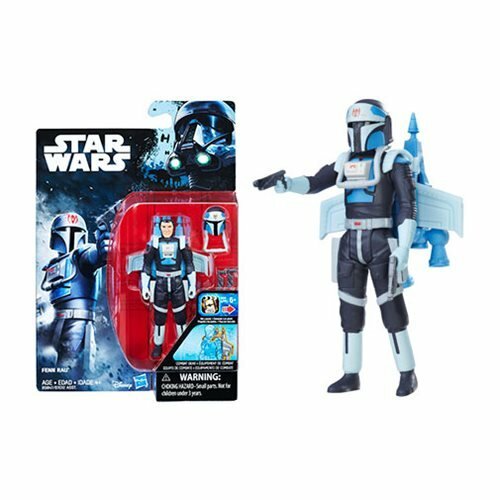 Commentary: Sometimes it's tough to tell the real name of a toy-- the packaging for this one says Ace-38 in multiple places, but Wookieepedia and other resources have him as the (more sensible) AC-38. What I can tell you without question, though, is that this newly tooled figure is actually quite nice. The short droid is about the same height as the Utai (so like R2-D2ish). He's got about 11 points of articulation, with swivels at the wrists, shoulders, hips, forearms, and neck plus bending elbows and bending (and rotating) knees. For an exclusive figure, it's quite good. The figure feels as if it were designed to be able to sit inside a hypothetical Starspeeder 1000 toy, and since there's a larger one in development (supposedly Hasbro-compatible but not a Hasbro product) it's nice to know that this figure may be able to sit in the pilot's seat with few problems. Maybe. I'm hoping. The deco is great-- grey plastic with blue and orange, matching the motifs of the original (and now very 1980s) ride. He fits right in with the Star Tours Officer and Aly San San, so don't be afraid to set up a nice shelf with these guys on there. They'll match! He's also got a jointed visor on his head, which can be lowered over his eyes if you're so inclined. 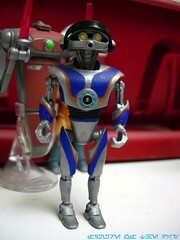 It's a cute little robot and I'd say it's right up there with Captain Rex (the Disney one) in terms of nifty-itude. 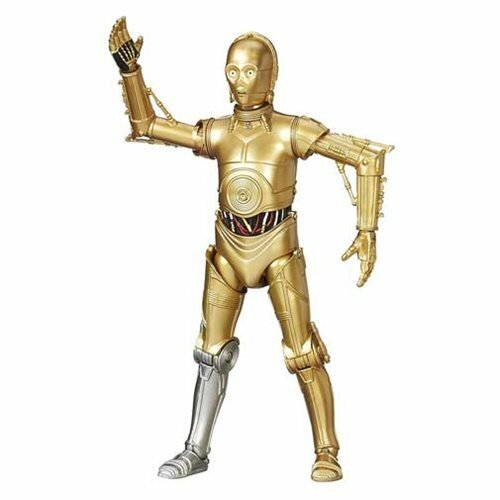 It also has a unique torso that looks a little like C-3PO's in places, plus sports a tiny, tiny Star Tours logo on his chest. Due to how the light reflects on it, you can see it in the picture-- it's orange, if you can't tell. Collector's Notes: As a new set, it's showing up at various Disney parks right now. This sample was picked up by my pal Shannon at Disneyland a few days ago... and I just happened to be in Los Angeles for meetings so I got to make a hand-off. The set also includes the newly-sculpted Signal Droid, a repackaged C-3PO, and repainted figures Aly San San (WA-7 redeco) and an Utai Luggage Attendant. A companion "Ambush at Star Tours" set hit at the same time. Of the two sets, the Star Tours Travel Agency offers more bang for the buck with more figures, more NEW stuff, and more gear. Collect all 30-something Star Tours action figures-- that's close to what all of Indiana Jones ever got! 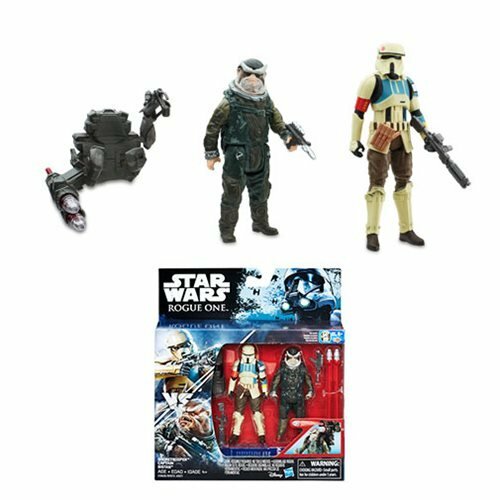 Is that a re-use of the original Captain Rex head? No, this has a movable visor while the Rex figure had a much larger piece. Different sculpt. If you go look at the POTJ-era Rex, it's obviously extremely different. I'm glad this figure turned out nicely. Despite the fact that the character spends next to no time on screen (in the pre-ride video) it's an interesting variety of droid.